Joint Chiefs of Staff Defending Gun Rights? 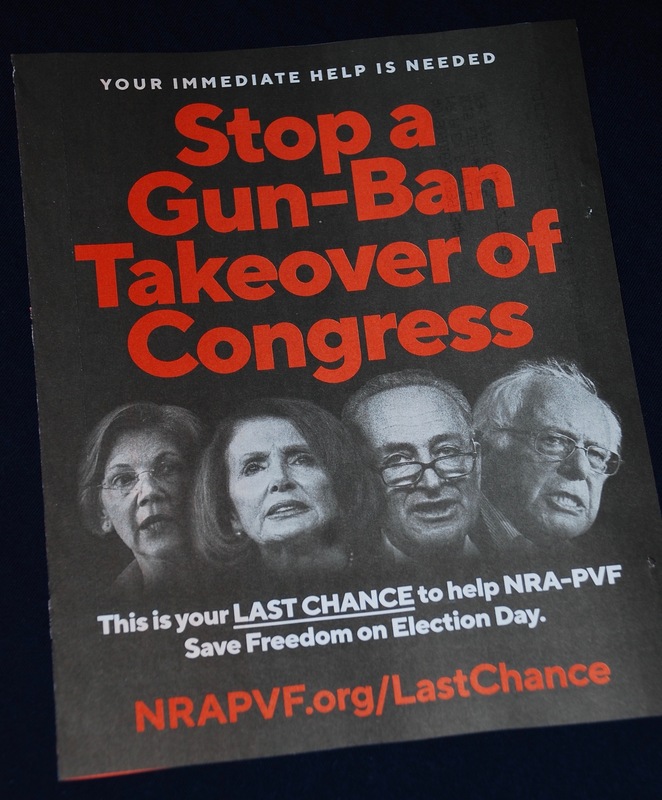 Image above: NRA midterm elections 2018 literature. If The Troops are fighting to protect American rights and freedoms- why does the NRA emphasize domestic politics instead of overseas military operations to preserve gun rights? When the US Armed Forces are sent to Lebanon, Somalia, Haiti, Bosnia, Vietnam, etc.- how is that defending the US Constitution– or our rights and freedoms, or our physical security? The Department of Defense track record for winning undeclared wars goes back to 1949. Maybe all of the US should function like one, giant military base. Freedom of individual expression could be fully controlled. No distractions. No dissent.